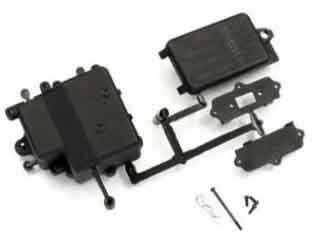 New Kyosho Inferno MP9 TKI3 Radio Tray Parts Revealed! 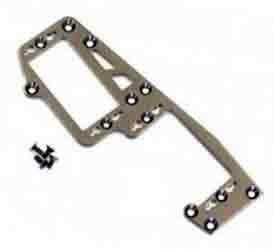 You are here: Home > Articles > News > New Kyosho Inferno MP9 TKI3 Radio Tray Parts Revealed! Pre-Order the new Kyosho Inferno MP9 TKI3 Parts Now! Click Here! Inferno MP9 TKI3 Radio Tray parts Revealed and more! 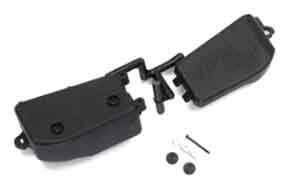 Kyosho has finally decided to put together an updated radio tray for the Inferno MP9. Re-worked to make the installation of radio equipment simpler as well as move the battery forward and protected inside a sealed compartment. The power switch also moves to the rear of the receiver box. The switch location includes a cover with a mount for a standard mechanical switch as well as a blank for those of us who no longer use one, nice addition! The other issue that was a problem with the original radio tray is once the rear section was cut off there was no mounting hole for the remaining part. 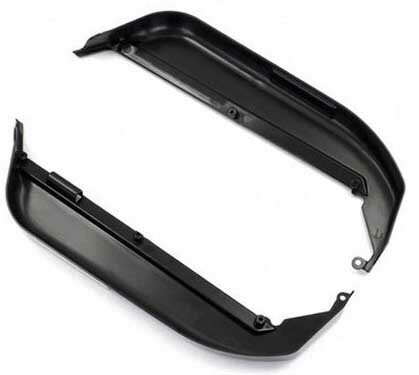 This has been solved by using a mount that extends to the original hole in the chassis for a secure installation. According to Paul King, the area under the KO switch also works perfectly for mounting the transponder nice and low and it fits perfectly! The aluminum servo plate has also been replaced with the updated design as well. The steering servo looks like it may have moved slightly, but it is hard to say. The new part looks very nice! For the Whole solution to work there is a new side guard to make it all fit perfectly in the car. So does this mean the Inferno MP9 TKI3 update is now official? Well Kyosho has not come out as of today, April 6th 2012 with the official news but it would seem so to us! There may be a few more updates that have not yet been revealed we will have to wait and see. I know there is a mixed response from the driver base for any updates to the current form of the Inferno MP9 TKI2 as the car is so dialed and easy to setup for almost any track at the moment, however I don't think Kyosho would make any changes at this time unless they have been tested. The evolution of the Inferno MP9 has been steady and precise and it has paid off for Kyosho and us drivers with the most constant and and perfected buggy on the market today, few would argue with that!